Hurry, quick! Look at what the Santa's little helpers have been up to this year! It's hard to believe that these four young men from Minnesota have transfused these familiar holiday chestnuts with such inspiration and wonder, but indeed they have. "Let It Snow" takes as it's initial premise a Polynesian tiki lounge rhythm - already different - and then takes the cheery melody headlong into a ninth chord resolution! This CD is trimmed with so many gorgeous decorations that it improves the more one hears it, revealing subtleties that delight upon discovery. 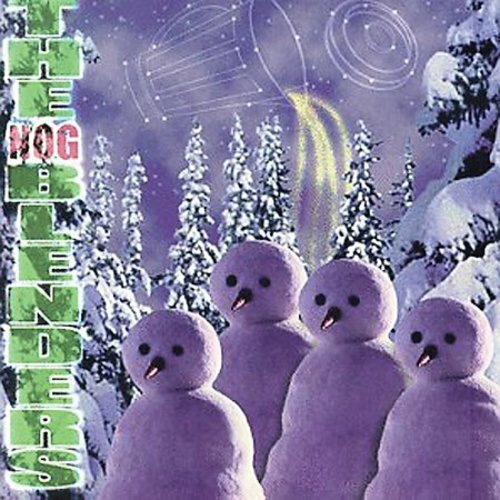 The creativity just saturates every song, whether as a distinctive rhythmic variation or unexpected countermelody, but always integrated into the whole (by the way, the group produced and arranged "Nog" themselves). In terms of intonation and blend, the Blenders (coinciding with their choice of name), are the best in the business: listen to "Do You Hear What I Hear" as just one excellent example. It's perfectly calibrated, the senses reveling in the purity of sound. Contemporary a cappella at its best.